Both also have a sense of immediacy, that “now” matters and see their end goal on this earth. Imagine sings “Imagine all the people living for today” and Revelation teaches us that our actions now have eternal consequences. Also, in Revelation 21:2, we see that Jerusalem “comes down,” we don’t fly up to it or use our hope as an excuse to remove ourselves from this present world. In both works, the concept of eternity lures us into living in the present. Lennon’s imagination was large and looming, and not just in music. Though faulty and incomplete, he imagined a better world than the one he was in. His imagination was large, but not large enough. But the question for us is this: are our imaginations as large as Lennon’s? We actually have (and supposedly believe) the story of Revelation. Does Lennon—who professed atheism and did not have the grace of believing Revelation to be true—does he put Christians to shame? Are we known for our large and looming imaginations, taking this world that is and reflecting the one that ought to be? Listening to the song Imagine, the music and lyrics are wed to a feeling of longing. The music itself is not completely comforting, it wants to go somewhere. We, above all people, should be a part of this movement forward, not happy and not comfortable in the broken world that is. But for most of us Christianity is a means to the American dream: everyone is cool, calm and collected, completely happy with how everything is. Being a Christian is a calling to have your heart broken. To ache for others (like Lennon), to see the product of sin upon fellow human beings, to care enough to be broken. This is what taking our cross looks like. Christ was not satisfied while here, He prayed that the heavens and earth would be one (Mt 6:10). Thankfully, human beings can never totally erase their human-ness. No matter how horrible, there is always humanity to be found. If we believe that Genesis 1 and 2 is true, that everyone is created in the image of God, there must be echoes of the Divine in all people. We just need to love others enough to look. And surely speaking of the differences between worldviews and ways of living is important, but if we don’t spend time looking and investigating, how can we know these differences to begin with? Christians are already stereotyped as not willing to get involved with people different from them (probably rightly so), and it is easy to live this way. But God calls our minds to grapple with our present world and calls our hearts to be the engine that moves us out of our own lives and into the lives of others. If we have the longing and hope that Revelation points to, we should be showing others what it looks like to imagine a better world. We should be known to people as dreamers, not as contentious people looking for the faults of the world. Lennon’s imagination was large, but not as large as the potential found in God’s people on His mission called to reflect the world that is to come. 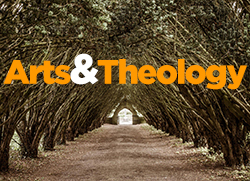 This entry was posted in writing and tagged arts & theology, culture, music, revelation by greg. Bookmark the permalink.